Can you confirm these amateur observations of Ramphotyphlops angusticeps? 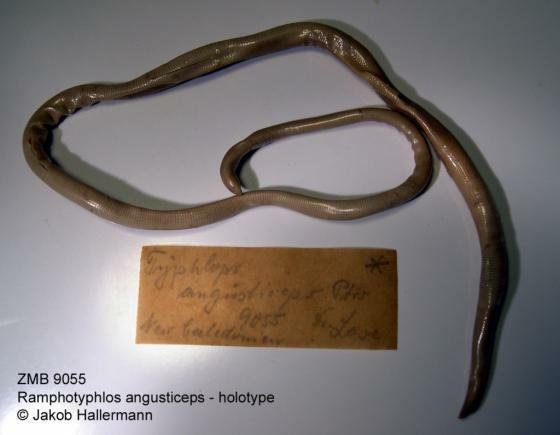 Comment Ramphotyphlops angusticeps has more than 600 vertebrae, perhaps the greatest number of any snake (Greene 1997). Erroneously reported from New Caledonia fide BAUER & SADLIER 2000. Etymology Named after Latin “angustus, -a, -um” = narrow and the abbreviated term “-ceps” for “caput” = head.